Last June, I was offered 2 copies of the memoir Jasmine and Fire, one book for me and one book to giveaway. I read my copy in few days and got busy all summer with trips and food styling jobs leaving blogging behind. The book is about a Lebanese/American food and travel writer Salma Abdelnoor who decides to leave her New York life style for a year to live in Lebanon and reconnect with her roots. The book captivated me with every single word. I never thought that seeing Lebanon through Salma’s eyes would make me love this country more than I do. She opened my eyes on many Lebanese exclusive details, which I forgot how unique they were, and touched my heart with her stories on our long-lasting beautiful traditions, particularly our extraordinary food culture. 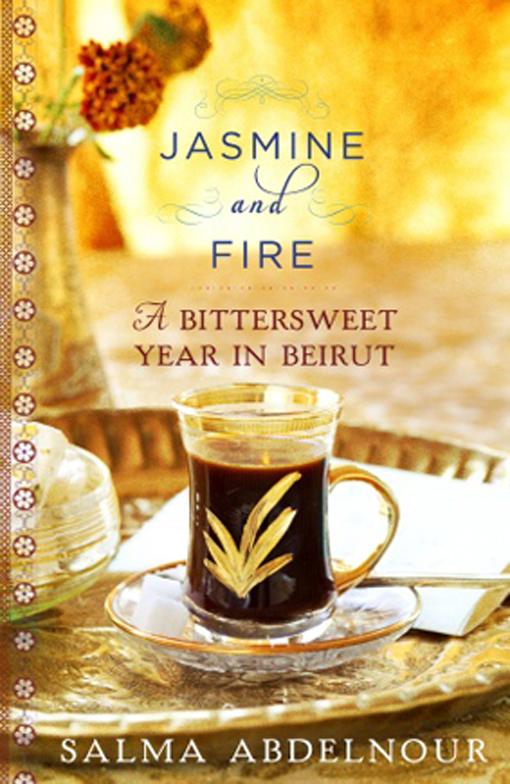 This is a book for all Lebanese and Lebanese originated to read and enjoy. I’m so excited to offer you one copy. To enter the draw, send a message to my facebook inbox and include your name and country of residence. The deadline to enter the draw is Wednesday October 10, 2012 at 11:00am local time. The winner will be notified through his Facebook account. This entry was posted in Articles and tagged beirut, food travel, food writer, Jasmine and Fire, lebanese food blogger, Maya Oryan, Mayas Ingredients, middle eastern food, Salma Abdelnoor by Maya Oryan. Bookmark the permalink.